On July 13, 2014, Conrad Roy III went to a Kmart parking lot with a motive in mind: to end his life. Roy had struggled with depression and anxiety for multiple years, according to CBS News. Earlier that day, Roy had received multiple text messages and phone calls from his then long-distance girlfriend, Michelle Carter. According to CBS News, when Roy tried to escape from the carbon monoxide-filled truck in the Kmart parking lot, Carter told him to “get back in.” Roy got back in, and the fumes killed him. Almost three years after the incident, the judge’s decision was finally given to a deemed guilty Carter on June 16, which includes a sentencing on August 3 and up to 20 years in prison, according to The New York Times. It was easy for Carter to hide behind her phone and say things she might not have said in person. Sometimes, as students at BYU-Idaho, we also hide behind our phones. Many of us publish anonymous, sometimes scandalous or rude posts on our fake Instagram or Twitter accounts. We are not immune to this idea of using screen names to accomplish something that could hurt another person. Carter’s words held so much power for Roy. Imagine if she would have used that power for good and tried to prevent the suicide from happening rather than just going along with it. We, as the editorial board for Scroll, believe that words have an extreme power for either good or evil, and all of us need to recognize that. We need to be careful with what comes out of our mouths and not hide behind screen names and text messages. Everyone is going through something we may not understand, and it is our job to be careful that our words do not ail them in any way. 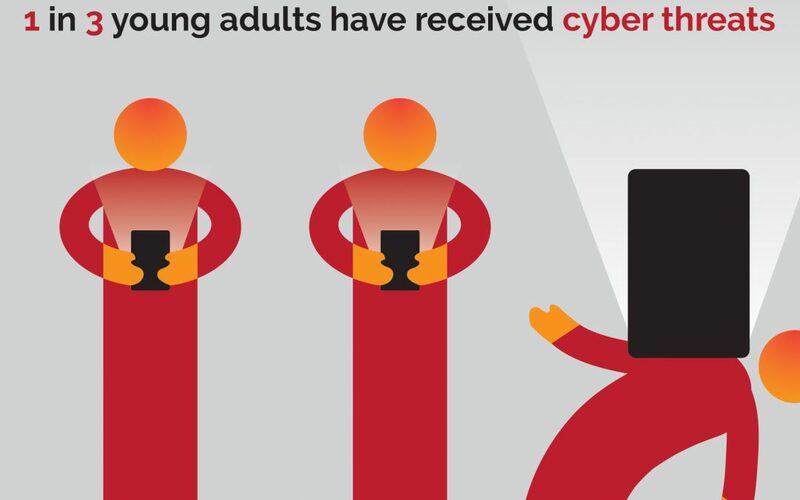 According to bullyingstatistics.org, more than 1 out of 3 young adults have received cyber threats online or through their cell phones. David Molak, a teenage victim of a cyber bullying from San Antonio, Texas committed suicide in January 2016 due to the countless threats from classmates, according to mysanantonio.com. In October 2015, Molak’s fellow students commented on one of his Instagram posts saying things like, “Molak’s an ape. The monkey looking human gets his woman stolen,” or “Put um inna coffin. Put em 6 feet under,” according to mysanantonio.com. Instagram is one of the most popular social media accounts in the world right now which can make it a very influential outlet for young adults to express themselves. According to CBS News, BYU-I is the most Instagrammed landmark in Idaho. Are we using this social media outlet for good or bad like Molak’s fellow classmates? These students hid behind their social media facades while heartlessly bullying a fellow classmate. They did not think before they commented, and they failed to remember that Molak had feelings, too. According to News 4 San Antonio, since this tragic incident, Molak’s family has spoken up about him being bullied and rallied to create a law entitled, “David’s Law” to prevent cases like this in the future. On June 12, the Governor of Texas, Greg Abbott, approved David’s Law. We can make a difference in our community just like the Molak family did by being nice to everyone we meet even when circumstances deem it hard. According to USA Today, a mom from Tallahassee, Florida, Amanda Owen Hill, took a stand against cyberbullying on June 1 and created a video advocating to parents to be aware of what their children might be going through. Hill’s reason for creating this video is to put an end to the spread of cyberbullying before it even starts. She said it is important to have an open line of communication with all loved-ones in case they are struggling with being bullied through words. Instead of being caught up in our own problems, we need to open up and be aware of those struggling around us. That is the only way we are going to stop bullying through words before it even starts.Instead of being caught up in our own problems, we need to open up and be aware of those struggling around us. That is the only way we are going to stop bullying through words before it even starts. When we are struggling with our self-worth or other issues in our lives, we need to remember that we should not take our anger out on other people. Instead of bringing other people down with us, the only way we can bring ourselves back up is if we bring those around us up as well. Misery loves company. Do not give or let misery get the company it desires.